The CatWalk XT gait analysis system can be an incredibly useful tool in assessing the subtle motor deficits exhibited by mice post-TBI, making it ideal for detecting deficits that might not be readily observable to researchers. 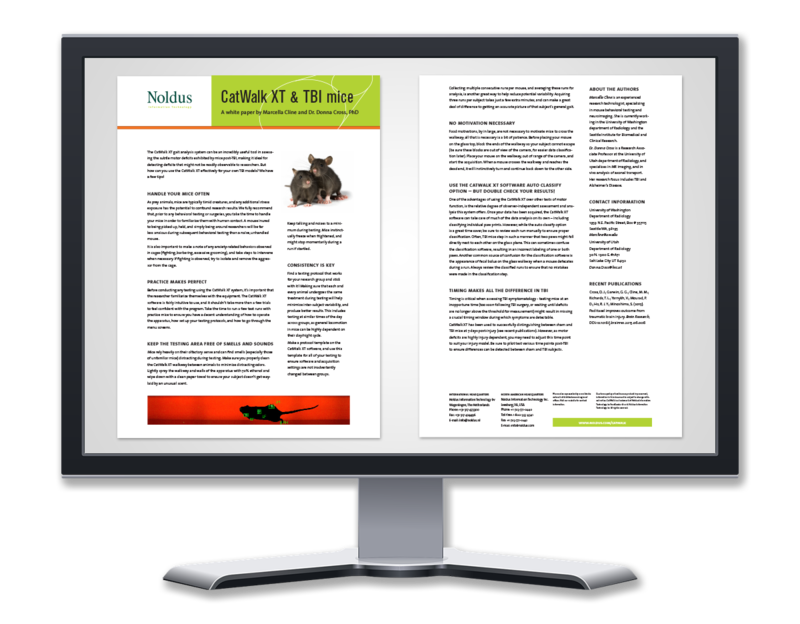 But how can you use the CatWalk XT effectively for your own TBI models? Marcella Cline and Donna Cross have some tips!